In November 1953, O.N. 697 ‘Prudential’ was sold out of service of the RNLI for £1000 to City of London Chief Architect F.H.W. Haywood at R.J. Prior & Son’s Boatyard in Burnham on Crouch. Conversion commenced at the boatyard and this included the raising of her gunwales by roughly ten inches. A new deck and a coach roof, both in teak to match her hull, and the beginnings of a wheelhouse, were added. A new Russell Newbery engine and a Self Changing Gears gearbox were purchased and although several attempts were made to mount and install the engine to Mr Haywoods satisfaction, final installation did not take place until the boat was moved in 1962 to the yard of Frank Knights in Woodbridge. Here, the meticulous Mr Haywood continued the conversion, but unfortunately he died before the completion of his lengthy project. In 1972, retired Group Captain Sidney Swain, purchased ‘Prudential’ and although, in his ownership, little major work was carried out, a number of ex-MOD items of electrical and mechanical gear were added. In recognition of her saving of over 3000 lives, it was Sidney Swain who gave the boat her new name of ‘Trimilia’. In 1983, financed by Prudential Insurance, he was in the process of assigning ‘Trimilia’ to the new Ramsgate Museum, but his death put an end to the transfer. 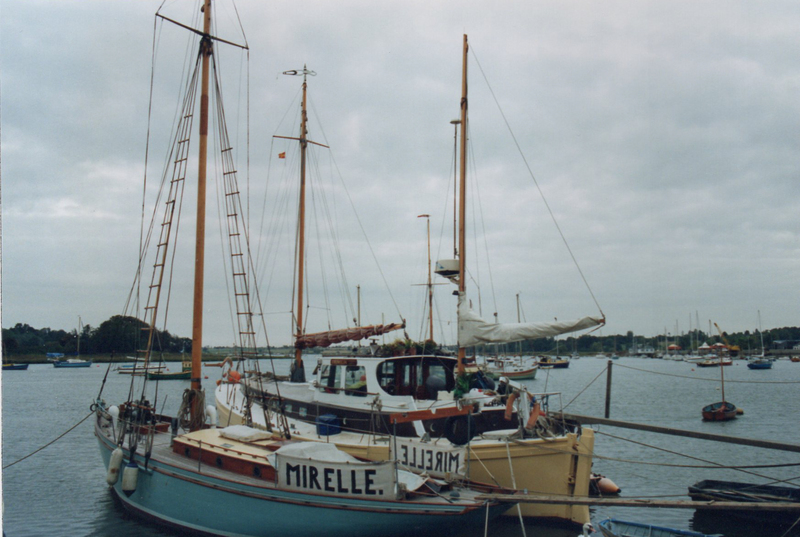 In the Summer of 1983, ‘Trimilia’ was offered for sale under the brokerage of Frank Knights Shipwrights and purchased by a rather interesting character by the name of Richard Rothery, from Ipswich, who moved aboard with his Afghan dog. He was known to be something of a womaniser and he loved wine in abundance. 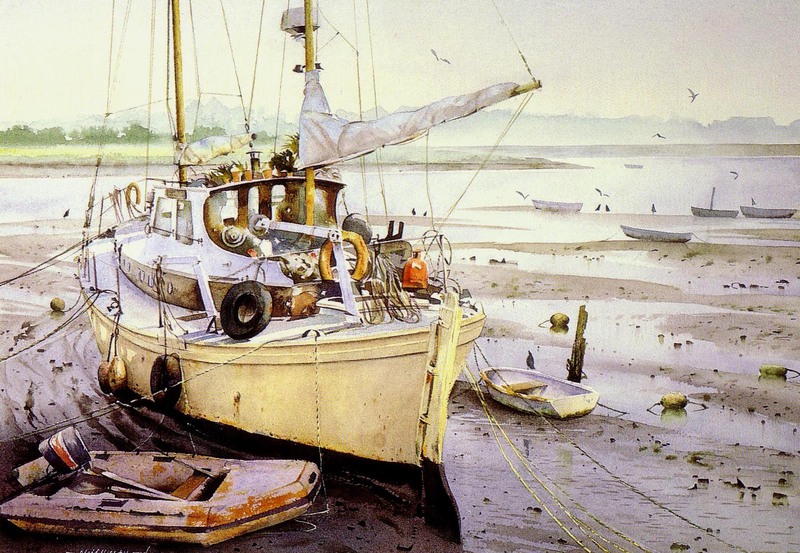 Unfortunately he saw fit to festoon ‘Trimilia’ with pot plants and other liveaboard paraphernalia whilst the bilges slowly filled with discarded bottles and corks. 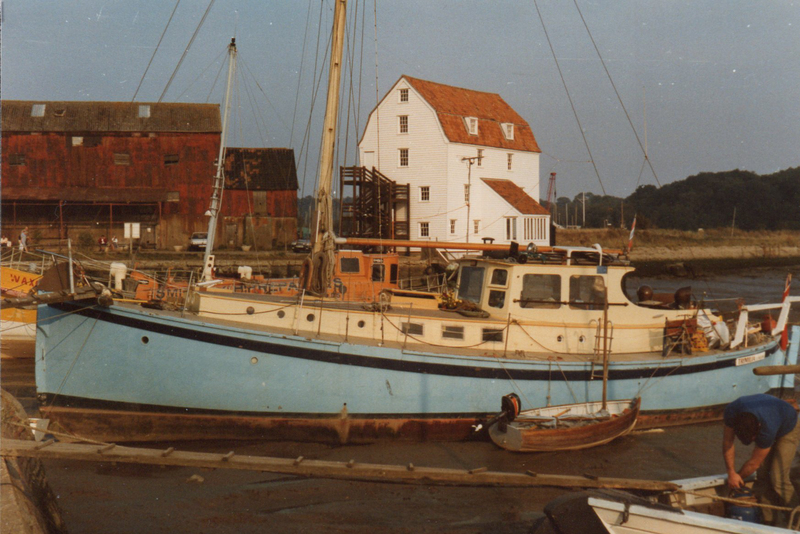 In 1986, following the death of Richard Rothery in his car on the quayside, Trimilia now in a rather dilapidated condition, was purchased by Daniel Elves from Debach nr. Woodbridge, who, over a period of 9 years, began to get her back into shape once again. He also took Trimilia back to Dunkirk in 2000 and 2005 as part of the Dunkirk anniversary celebrations. Family commitments required Daniel, very reluctantly, to sell ‘Trimilia’ in 2005 but was pleased to be able to do so to her current owners. The new engine, a PDM4, was built by Russell Newbery & Co Ltd, at that time in Dagenham, Essex. It was a 4 cylinder diesel and despite being only 50hp it was supposed to enable a cruising speed of 8 knots at just 1300rpm, powering a single 24 inch three bladed screw, tunnel housed.